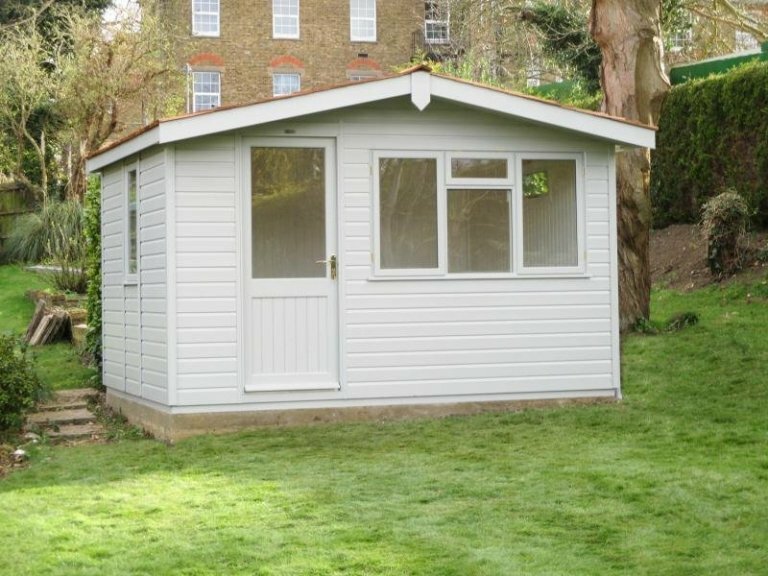 This 3.6 x 3.0m Binham Studio has been installed in our customer’s garden in Sutton, Surrey to use as a home (garden) office to work in, so they don’t have to worry about renting out a space and commuting each day. 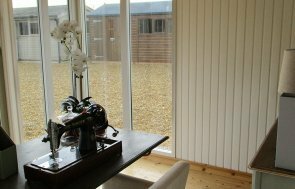 The Binham is a highly practical Studio with its desk height windows that are perfectly suited to offer up that view of the garden when sat down to work. Additionally, as with all of our Studios this one is fully insulated, with double glazed windows, draught excluders, and internal matchboard lining. Aesthetic features include the roof overhang on the front gable to help add a bit of style, as well as offering shelter for the door and windows in this side. Cedar shingle tiles have been chosen for the roof, which are a natural, highly durable material, and the paint the customer chose is our Valtti Paint System in the colour Pebble. To help this truly be a building to use throughout the year, the customer also opted to have our electric pack with a heater to provide them with light, heat and power whatever time of year it is. 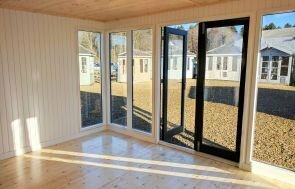 For more information on our range of Garden Studios, please call us on 01760 444229, or visit our Sunningdale Show Centre to view the range for yourself and talk to our helpful team.